It is not usual for the DUP to talk outside its ranks – for its members, albeit without attribution, to air concerns and criticisms so publicly; and, I am told, it is this talking out of school, that prompted one MLA to use the term ‘traitors’ – in a condemnation of leaks – when he spoke from the floor at the party’s Executive meeting on Thursday February 22nd. This is the fallout from the Draft Agreement Text – that near-deal reached on February 9th after months of negotiation at Stormont; that latest phase of talks billed as a last opportunity to rescue devolution. There is talk that in the build-up to that February 9th date the DUP phone line between Stormont and Westminster had been “red hot”; and, alongside hope, there was always concern. Progress had been made; perhaps more than was being publicly declared – but there was still a fear, that inside the DUP, someone “could upend the cart”. We know now just how much progress had been made. We can read it in the 13-page Draft Agreement Text. We know that there is a detailed annex of draft legislation covering the languages/respect and culture strand of this negotiation, and we also understand that there is documentation that will confirm and support Sinn Fein’s assertion that there were commitments from the Northern Ireland Office on legacy matters – those commitments set in the context of “overall agreement”. Did it all add up to an understanding/accommodation as Stormont’s big-two parties left Parliament Buildings on that Friday evening February 9th? “I don’t think there’s any doubt about it,” a senior DUP elected representative told this website on Friday March 2nd. Also on Friday March 2nd, listen to what MP Sammy Wilson said in an interview with Mark Devenport on the BBC Inside Politics programme. Devenport asked him to respond to earlier comments from Mairtin O Muilleoir that Sinn Fein had proof that Arlene Foster handed a hard copy of the Draft Agreement Text to Michelle O’Neill on Friday February 9th. Wilson’s response – “then prove it”. Then he added: “As far as we’re concerned, negotiators went in there to test the ground – see what was available. On Friday March 2nd, on this website, my colleague Eamonn Mallie published a paragraph from an email chain on February 9th that started with DUP negotiator Simon Hamilton to party colleague Philip Weir and then to Stephen McGlade – Head of Michelle O’Neill’s office. It is the proof that on February 9th the DUP had forwarded the latest iteration of the Draft Agreement Text to Sinn Fein – both in hard copy and by email. The negotiation was now focused on the “financial ask” – this, in the words of one source, an effort to “plug budgetary gaps” and, separately, there were matters to be concluded in relation to the presentation of the draft agreement. Read that draft agreement carefully. Sinn Fein did not get what it was looking for – not on the Bill of Rights, not on Marriage Equality. It also agreed to a new period of months to resolve differences if in future there was a resignation at the top of the Executive – this new arrangement making the political institutions more stable. Arlene Foster would be First Minister. Sinn Fein believed that what it had achieved on legacy matters, on the Irish Language along with a committee to look at the Bill of Rights, meant this agreement would not be a return to the status quo. There was no certainty on the outcome of any review of the Petition of Concern and no certainty that a committee on the Bill of Rights would deliver what Sinn Fein wanted; so, this was a long way from the implementation certainty that republicans had set as the test of this negotiation. 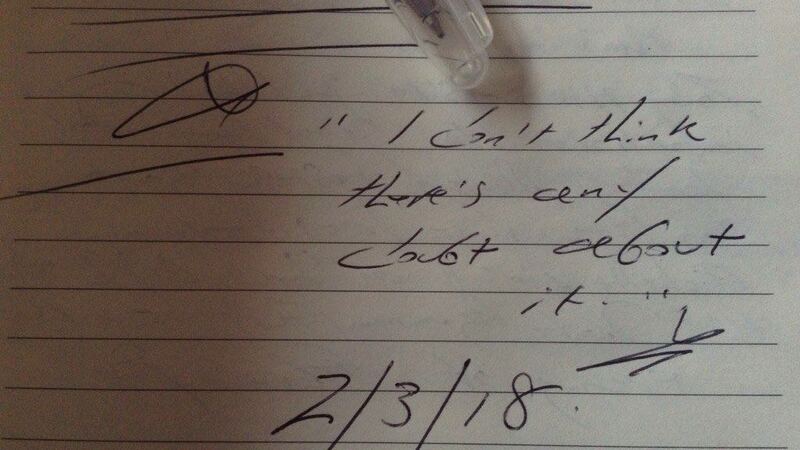 “We are going to have problems,” a republican told me in a conversation on February 10th – problems because some of the issues had not been progressed to the point expected. At best the draft agreement was a political draw. Did it really fall because the DUP could not cope with a separate Irish Language Act within the broader frame of languages, respect and culture, including an Ulster Scots Act? From inside that party, I was told there had been no preparation done for “a climb down” on this issue. Indeed I am told that a senior party figure had warned before February 9th that if things proceeded along that negotiating line, he would “oppose it publicly”. We have watched the negotiating team being pulled back from the February 9th text, and these talks being stopped in their tracks. There will be no better deal. “Therein lies the problem for the future of the [political] institutions,” one talks insider observed. In other words there will be no “watering down” of this draft agreement. It has become the new bottom line if the Executive is to be restored. There is another question to be answered before any future negotiation: Who can deliver the DUP? The rancour – the anger – within the DUP, the talking that travelled outside that party, was because so many people were kept in the dark – throughout the negotiation and up to the point of collapse. 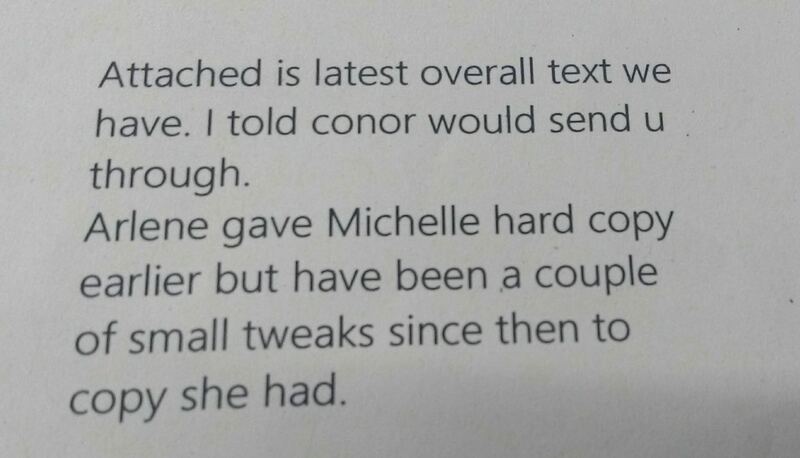 I am told that a text message was sent to a small number advising them in advance of the content of the Arlene Foster statement on the afternoon of February 14th – the tweet that ended this phase of the talks. 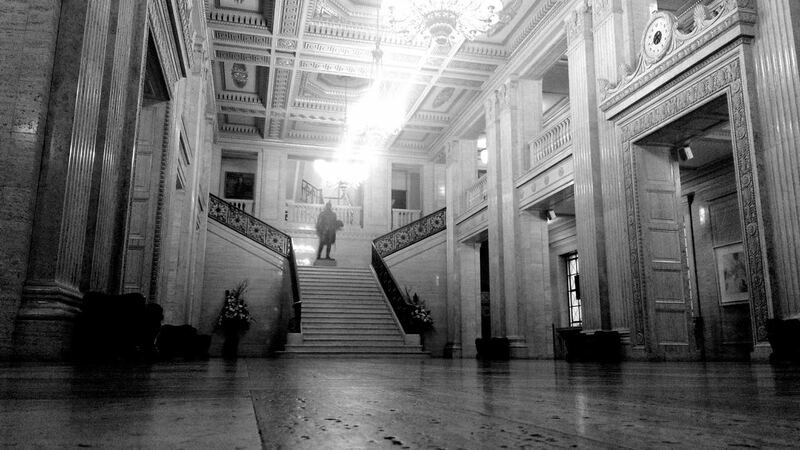 Stormont is a Ghost House. There is nothing certain about the future of devolution or when another last opportunity might arrive to fix what is so badly broken. In its limbo, the Parliament on the hill is becoming less and less relevant. Already, the focus has switched to Brexit and, further down the road, there will be another battle – that of Union versus Unity. March 4, 2018 in News & Current Affairs. SF do not have an ambition for normal politics in the North , because that would go against the republican agenda of making the North a viable working state, which they( republican SF) hate and wish brought down, destroyed and burned to the ground. Your reference to all Protestants as PSNI,UDA, UVF and orange travellers is clearly a sectarian slur and designed to intimidate all that dosnt support your republican thinking of a republican socialist Ireland with Republican SF calling the shots,( excuse the pun . And straight away we are back to base arguments. There is enough information to conclude that both parties made significant compromises to reach a draft agreement. In the event, the DUP couldn’t sell it to their wider party and therein lies the obvious clue. Their supporters believe that compromise is more concession to republicanism when they’ve already conceded enough. Direct rule it is then. Except, there’s Brexit looming and the Irish government have a very powerful hand. Maybe one thing the DUP do need to grasp is that ,however much they would like to maintain the status quo or go backwards, the political landscape is changing all around them and everyone will have to adapt. Oh change it will. A recent survey undertaken for a Dublin based media showed that of those canvased for a UI a majority of 74% would vote in favour and when asked how it would be paid they were somewhat shocked to learn that it would cost estimate about €12 billion and when asked again would they be prepared to pay this price for a UI that 74% then dropped to 32%. And bear in mind that down south immigrants make up one in five of the population where up North it’s one n 100. The south won’t want the burden. So bring on the change then and let’s see how SF will cope . Reference to “immigrants” (casual racism is the worst kind) and mythical statistics will not protect you from a changing world. It’s hard not to have some sympathy for the situation of a people who feel themselves to be under siege. But, really, you have nothing to lose and everything to gain.